BOBCAT 130 Excavator Undercarriage must be extremely durable and it is very important to keep the un..
BOBCAT 220 Excavator Undercarriage delivers outstanding performance in any excavator application. We..
BOBCAT 225 Excavator Undercarriage excels in all applications and all conditions: standard or heavy-..
BOBCAT 231 Excavator Undercarriage must be extremely durable and it is very important to keep the un..
BOBCAT 316 Excavator Undercarriage delivers outstanding performance in any excavator application. We..
BOBCAT 320 Excavator Undercarriage excels in all applications and all conditions: standard or heavy-..
BOBCAT 322 Excavator Undercarriage must be extremely durable and it is very important to keep the un..
BOBCAT 323 Excavator Undercarriage delivers outstanding performance in any excavator application. We..
BOBCAT 325 Excavator Undercarriage excels in all applications and all conditions: standard or heavy-..
BOBCAT 328 Excavator Undercarriage must be extremely durable and it is very important to keep the un..
BOBCAT 329 Excavator Undercarriage delivers outstanding performance in any excavator application. We..
BOBCAT 331 Excavator Undercarriage excels in all applications and all conditions: standard or heavy-..
BOBCAT 331E Excavator Undercarriage must be extremely durable and it is very important to keep the u..
BOBCAT 334 Excavator Undercarriage delivers outstanding performance in any excavator application. 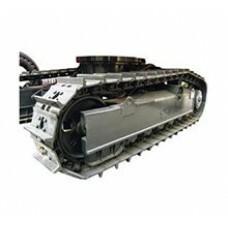 We..
BOBCAT 335 Excavator Undercarriage excels in all applications and all conditions: standard or heavy-..